Kobe Bryant has said he would love to represent the US at the 2016 Rio Olympics. The 37-year-old LA Lakers star, regarded as one of the greatest basketball players in history, announced this week he would retire at the end of the NBA season. The two-time Olympic gold medalist has been hindered by injuries in recent seasons but said he would “love to play” in Rio if fit enough. 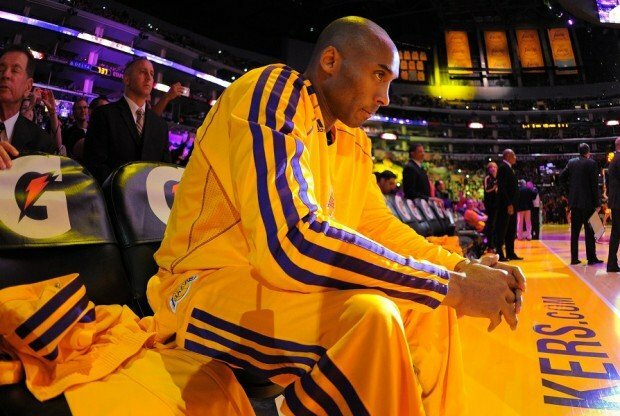 “If my body can’t do it, there’s no sense doing it,” Kobe Bryant said. The five-time NBA champion has scored 32,734 points during a 20-year career with the Lakers to rank third on the NBA’s all-time list. Should the Lakers fail to make the end-of-season play-offs, Kobe Bryant’s final game is set to be at home against Utah on April 13. The Olympics will be held four months later, between August 5 and 21. Kobe Bryant is one of 34 players in the US men’s national team pool, from which only 12 can be selected for Rio.